The best way to Contact Us is via the Live Chat on the bottom right of the page. If we are offline, it will show a red “Leave a Message” button. You can always send us an email to orders@thecupcakedelivers.com, but please make sure to add us to your safe senders address book and make sure to check your spam folder. If you are looking for a same-day delivery, please visit our Same-Day Delivery page for details. We deliver in a maximum 25 mile radius from our location in Fairfax, Virginia. Here’s an idea of the general areas we deliver to! Thanks for the Compliments Cupcake Lovers! Thank you so much for working with me on the phone to put together this order for my Dad’s birthday. I really appreciate it, and I think he will love getting to try the different kinds. Caring Kids Cards is going to eat The Cupcake Delivers cupcakes for breakfast tomorrow at the America’s Adopt A Soldier event at Chantilly High School. The National Honor Society students that are putting on the event will enjoy this surprise!! Thank you The Cupcake Delivers!! 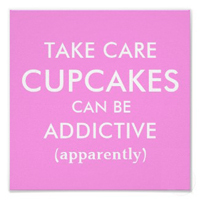 Just back from another wedding where we enjoyed fabulous The Cupcake Delivers cupcakes!!! So delicious, everyone raved!!! Thanks for being so flexible when it came to delivering my friend’s valentines cupcakes! She loooved them AND it really made her day!! You were so great! Great job delivering an amazing array of cupcakes. Many of our team members had trouble deciding just which luscious confection they would select. They certainly felt appreciated on this day! Thank you so much for the cupcakes for the baby shower! They were a total hit and sooooo tasty! Thank you! My brother was raving about the cupcakes last night! The cupcakes for MPR Associates were a huge hit. Thank you! Thank you for the best cupcakes in the world! My wife and other teachers Loved the Valentine cupcakes delivered to her school today. Thanks for the cupcakes. They were awesome and everybody loved them. What a great job you did! Thanks so much…be ready for more orders! I’m really hoping pink lemonade cupcakes will be returning for summer! So I guess I am the luckiest person around!!! I got to eat The Cupcake Delivers cupcakes, 2 days in a row, for two separate events. All I heard were rave reviews! Its very easy to refer when I know you never disappoint! YOU ARE THE BEST!!! THANK YOU SO MUCH FOR YOUR EFFORTS! I AM SOOO EXCITED!!! You will be known for the best cupcakes around. The Cupcakes were a hit! Thank you so much again! I will definitely order again…even though I can’t get them all the way in Boston! My girlfriend loved the red velvet cupcakes you delivered on Saturday. Thank you so much. We are 4000 miles apart and you helped loads! ANOTHER SUCCESSFUL CUPCAKE EVENT!!! You made the birthdays this weekend. The C-Cakes were a huge hit. Luckily we over ordered so we get the leftovers <licking fingers>. You’re the best. Thank you!!!!!!! Got my Cupcakes and they look amazing! Thank you so much! Thank you Jessica!! I cant wait to taste the cupcakes!!! We can not thank you enough for being a part of National Nanny Training Day! Everyone loved your cupcakes!!! A big THANK YOU to The Cupcake Delivers! They made my day by delivering yummy cupcakes to my favorite birthday girl and new mommy! They took my order from half way across the country and had them delivered within an hour! Thanks for the great service! I will put the word out to my friends and family about your great service! Thanks again, I will be sure to come back and order more goodies, maybe when I get married you can do my cake! My husband was home and was very surprised! The cupcakes were delicious thank you guys! You guys are the best! I love your cupcakes! Over the moon for your Cinnamon Roll Cheesecake Cupcake!! Thank you Thank you Thank you! My fiance was so surprised and loved the cupcakes! The cupcakes were delicious thank you! Best value around for getting cupcakes and balloons to my daughter at college the same day. Thanks for the birthday cupcakes. They were a big hit as usual. 3 words….Dark Chocolate Raspberry…..Best Ever!! !